Mt. Fuji was registered as a UNESCO World Heritage Site in 2013, but in reality it is not Mt. 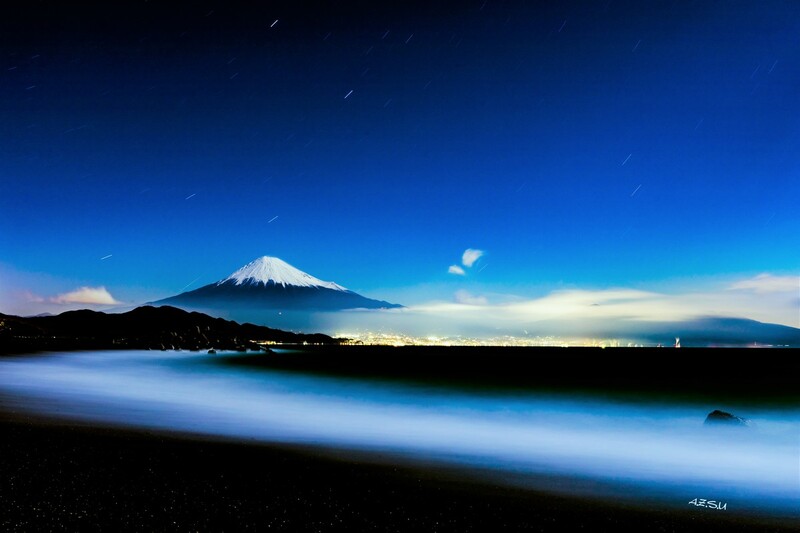 Fuji alone. According to UNESCO, “Mt. 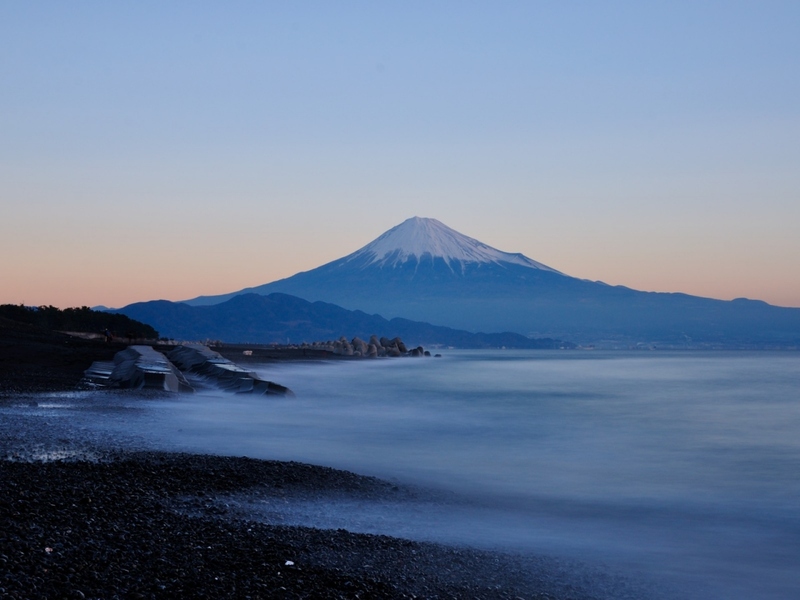 Fuji, the subject of faith and the source of art” is registered, and not only Mt. Fuji, but also regions and places that deeply connect with Mt. Fuji have been registered together since ancient times. In addition, Fujisan Hongu Sengen Taisha Shrine which is said to be the headquarters of Sengen-jinja Shrine nationwide, which enshrines Mt. Fuji as the object of worship, has also been registered. In addition, it is registered as a part of the World Heritage even to the surrounding lakes such as Yamanakako and Kawaguchiko. The area to be registered extends to 25 places, but most of it is a spot near Mt. Fuji. The reason why Miho no Matsubara (Mt. Fuji from the pinery of Miho) 40 km away from Mt. Fuji was registered as a world heritage is because there is a deep connection with Mt. Fuji both historically and culturally. Its beginning dates back to the Heian era (about 1,200 years ago), and many cultural properties are left in the form of waka poems and paintings. 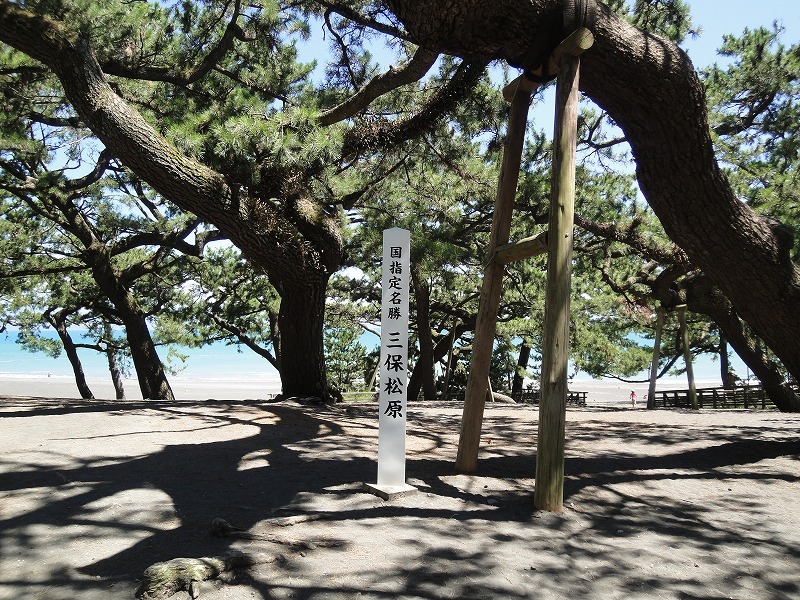 This place is also the stage of “Tennyo no hagoromo densetsu” (Legend of the celestial raiment of an angel), there is a pine tree of the celestial raiment which is said to have been said that the heavenly maiden has come down and plumed down. Also known as a cherry blossom spot, Mihojinja Shrine, which was built in the Heian era, and 500 meters of pine trees connecting Hagoromo pine and Mihojinja Shrine, has a majestic atmosphere as the path of God. Miho no Matsubara is a spot registered in Japan’s three major road bordered with pines, but its beautiful view has been popular since the Heian era. 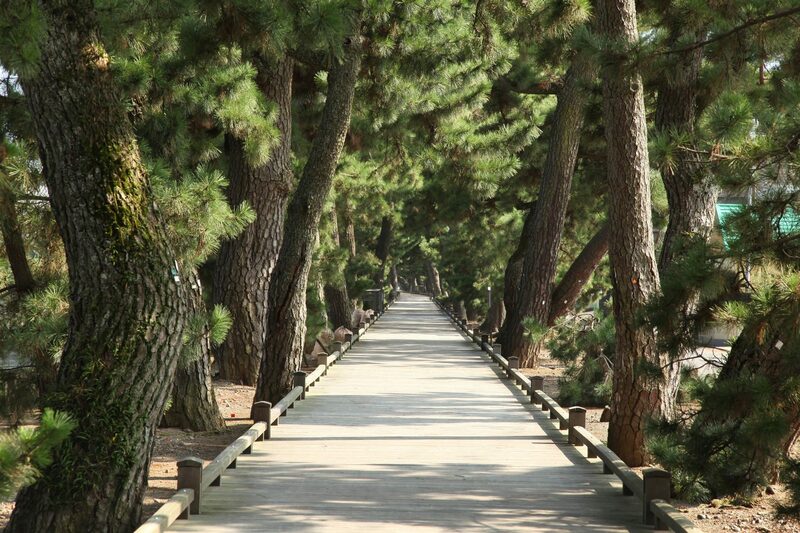 Pine trees with a length of 7 kilometers and 30,699 of pine trees have been considered scenic sites famous for the set with Suruga Bay and Mt. Fuji since ancient times. And the paintings and waka which depicted the beautiful scenery, have always been described with Mt. Fuji as a set.